Why Get a Pathology Second Opinion? Numerous publications show the clinical and economic benefits of obtaining a second opinion for Pathology specimens. Obtaining a second opinion in Pathology can in a small percent of cases lead to a complete change in diagnosis in a wide range of conditions including non-cancerous growths, inflammatory disorders, infections, and cancer. In terms of cancer, changes can be from cancer to benign (or vice versa) or from one type of cancer to another, which could have a significant impact on treatment and prognosis. A second review of Pathology more frequently also brings changes to the cancer grade or stage, which can affect prognosis as well as therapy. Jonathan Epstein, M.D. 1. Do they require pre-authorization for a second opinion? - Copy of insurance card— front and back. - Second Opinion Request Form, completed. Use only a signature-required courier. No U.S. Mail. Final report with diagnosis will be faxed to your doctor. Upon request, an ecrypted email with diagnosis can also be sent to you. 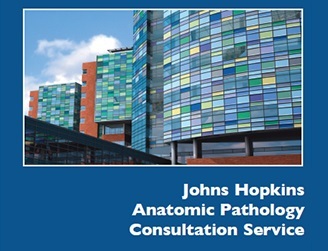 Usually, a diagnosis is reached within 3-5 days of your slides' arrival at Johns Hopkins. If there's a delay, please contact the consult office. Before you start, ask your insurance company if they require you to submit a second opinion through your doctor. If so, you will need to indicate that below. If this is not a requirement, it may be easier for you to contact the Pathology department of your hospital directly and ask them to follow the directions below. This sample request letter includes all the information that your doctor may need. When we receive your slides, we will send your doctor a confirmation fax. In some cases, additional testing may be required. Associated fees may be incurred up to $1,800 in a minority of more complicated cases requiring special studies. Optional: You may request that your case be seen by a specific pathologist on the forms that you send with your slides. For questions about insurance coverage, please call the Billing Office at (410)-933-1306. Out-of-state Medicaid: Due to state regulations Johns Hopkins Pathology can not bill Medicaid outside of the state of Maryland. Out-of-state Blue Shield: Effective October 2013, National Blue Shield mandates reference lab claims be filed to the Blue carrier in which the referring physicians NPI is currently registered and the claim is consider out of network. JHU Pathology billing will file the claim to the appropriate carrier and send a self pay statement to the patient. Cases billed to patient: When pre-authorization is required and not obtained the requesting party will be billed.